Steve Aylett’s new Lint is to literature what Spinal Tap is to heavy metal music: a brilliant send-up of anecdotal, cult-of-personality biographies. The parody swings freely between the sci-fi genre, the Beats, and classic pulp magazines. We follow a comix legend named Jeff Lint, who lived in the age when “dozens of new magazines appeared, with titles like Astounding, Bewildering, Confusing, Baffling…Useless…Appalling, Made-Up … Thrilling Wonder Stories, and Swell Punch-Ups” and editors would order up “an octopus, a spaceman, and a screaming woman” for the cover of a typical issue. 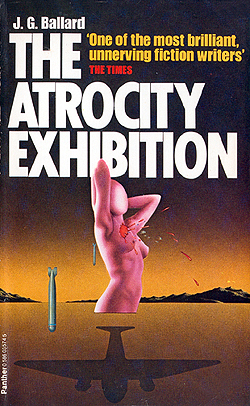 I like to call Aylett’s work a combination of science fiction, satire, and psychedelia. His sentences are not only sublimely expressive; they are beautiful in and of themselves. It’s like opening a pop-up book to see gemstones and charms strung together on bracelet chains, rising to display the black noir onyx, the blood-red ruby, the diamond center of the mind, the flaming gold-leaf giraffe trinket of surrealism. Karloff’s Circus (book 4 of The Complete Accomplice) lights up the town of Accomplice with an anarchic assortment of demons, clowns, factory workers, zombies, politicians, and giant Steinway spiders. The action seems absurd until one realizes that the real world is no less freakish. Even today, we have people kept alive in hospitals against all laws of nature, connected to machines by tubes. We see self-mutilation in the form of extreme piercing and grotesquely overdone plastic surgery. Our children are sent to war by incompetent politicians. Well, you get the idea. Once we establish that our world is crazy, it makes no difference whether Aylett is using surrealism to parody reality, or if he is writing a straightforward story about paranormal creatures in a parallel universe. Jacque Derrida maintained that all words have varying shades of meaning to each reader; therefore, every reader brings a certain amount of the story with them to a book. Maybe that is why I like Steve Aylett’s prose so much — he gives us plenty of raw material to process. Bill Ectric: It seems like you establish patterns of phrasing that are independent of the plot but that the reader can “pick up” on while reading. Steve Aylett: Yes, there are several threads of sense going through it at different depths. I think the mind picks up which bits link in to which other bits. Some’s almost a subliminal sort of thing going on, and then at the simplest level there’s the running gags or repetitions like the “Snail, Sarge” conversation, which is just so stupid I really like it. And if you don’t like all that there’s always the story to fall back on. BE: Even though Lint is a parody, I find that you throw in some semi-profound ideas. Like, commands materializing from thin air where someone’s mouth happens to be. The opposite of cause and effect. SA: The parody thing was secondary to the meanings I was putting in there. I enjoy parody and stupid stuff, but more often than not I’ll use it as a housing for old-time satire, politics and bitter axe-grinding. That thing about authority was about the fact that authority is actually quite arbitrary, and doesn’t manifest any inherent quality. Traced to its root it’s the result of luck, happenstance, crime and the sustaining of a set-up over many years as people hold on to power. It has no moral weight that stands up to a moment’s scrutiny, and is enforced by the threat of violence. Reduced to its constituent atoms authority doesn’t really mean anything. It’s all just people. SA: As far as I can recall this was mainly from The Fall’s album The Marshall Suite — and he is marshaling the various falls and collapses in the circus. His circus is all about entropy. BE: Which is better — for countries to worry continuously about other countries’ ability to build nuclear bombs, or the “stalemate effect” of each country already having nuclear bombs? SA: As long as America has the ‘preemptive’ policy of attacking non-nuclear countries without provocation, it’s probably better that other countries have nuclear weapons also, as a deterrent to the U.S. (which doesn’t like an even fight) — but in any case there will be a nuclear catastrophe at some point, either through psychotic panic or a technical error. It’s inevitable. BE: Did you ever hang out with the Krays? SA: No, I never met the Krays, but I knew their lawyer, and Ronnie liked The Crime Studio. BE: Now I’m sort of freaked out because I’m not sure if you are serious. The Crime Studio was published in 1994, Ronnie lived until 1996 … are you serious? SA: Yeah. Actually, Ron liked it so much he wrote a story of his own, which he got to me via a mutual acquaintance. Unfortunately, it was crap. I think I’d got the book to him because the small publisher that did The Crime Studio originally wanted a quote from a ‘name’ of some kind, and I didn’t know anyone in the literary world back then. Unfortunate things used to happen to people when I sent them books for cover quotes. I sent the re-print of The Crime Studio to William Burroughs and he died a week later; I sent Bigot Hall to Stephen Fry and he went insane — temporarily. BE: Uncanny! Speaking of insane, did you do the artwork for The Caterer? It is so classic. SA: It all started out as samples from a lot of 1970s comics — that blonde grinning jock appears throughout those comics. Then I flipped them, changed colors, changed expressions and body positions etc, blended them into different backgrounds and with different characters, muted the colors down again, then added dialogue. Often I was doing so much re-drawing I was virtually drawing the character from scratch, by the end. Is Mike Abblatia the angel? And, at the beginning of the book, when Mike Abblatia jumps off the bridge, is everything that happens in the rest of the book happening in the instant that Mike falls? SA: No, the book doesn’t occur in Mike Abblatia’s mind/dreams or whatever — it happens, after he jumps. Regarding the mystery angel at the end, I wanted to make the suggestion that it might be Barney. BE: On some level, Bigot Hall made me think of Kerouac’s Doctor Sax, even though they aren’t all that similar. Did you ever read Doctor Sax? SA: Yes, I’ve read Doctor Sax. Used to be a big Kerouac fan. That one was different from his others of course, being sort of cinematic and constructed. BE: You write a lot about other dimensions; did you ever read Flatland by Edwin Abbott Abbott? SA: I have read Flatland, though I still believe he cribbed it from Charles H. Hinton, author of The Fourth Dimension (who I mention often in my books). BE: If they made a Lint movie, who should portray Lint as an old man — Patrick McGoohan or Christopher Lee? SA: McGoohan is more grouchy, so I’d go for him. SA: English people say isn’t, aint, aren’t, innit, wot, and other things. From Literary Kicks, here’s a fascinating article written by Michelle Glauser about notes found in a book about Edgar Allan Poe. Have you ever found something in an old book that took you by surprise? It’s not unusual to find a name or maybe even a phone number. Sometimes you’ll find evidence that the book once belonged to a library. But extensive notes and criticism of an author as well-known as Edgar Allan Poe and his biographer? Maybe in a textbook. I certainly wasn’t expecting what I recently found. 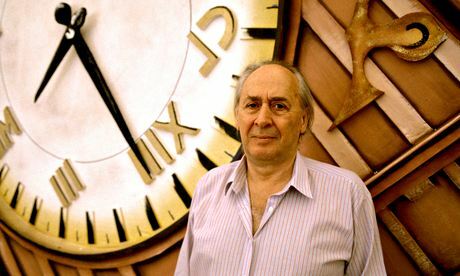 And at The Guardian, here’s a tribute to Ballard on the 5th anniversary of his passing, in which seven writers each discuss a Ballard book that is special to them. 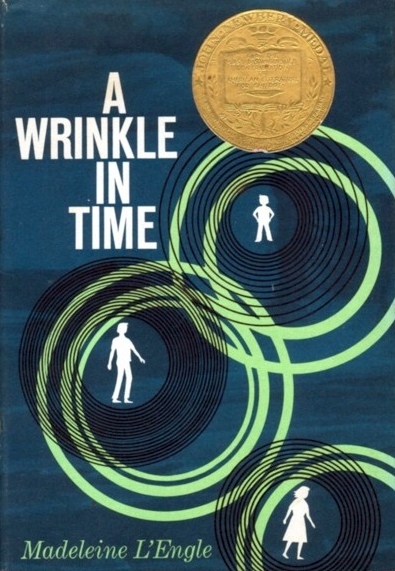 I was approximately ten years old the first time I read Madeleine L’Engle, the award-winning author of over sixty books, including A Wrinkle In Time, A Swiftly Tilting Planet, and A Wind In the Door, who died on September 6, 2007 in Goshen, Connecticut. I’ll never forget those simple drawings of an insect crawling on the fabric of Mrs. Who’s white robe. It looked like an ant walking a string tightrope. In those days, my friends and I learned as much science from comic books as from textbooks. An arch-villain called “Mr. 103” could morph into any element on the periodic table (now we would call him “Mr. 117”). Superman’s x-ray vision couldn’t penetrate lead, same as real x-rays. If The Flash vibrated fast enough, he could slide his molecules around the particles of a solid wall and pass through to the other side without damaging the wall. But, A Wrinkle In Time was not a comic book. 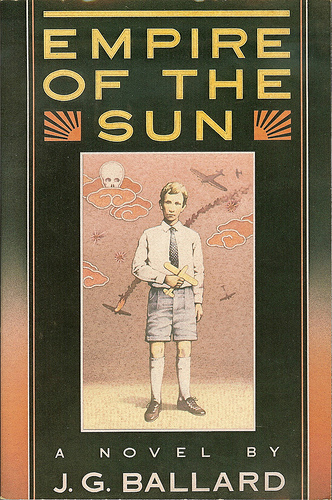 This was a gripping science fiction novel written for kids like me. 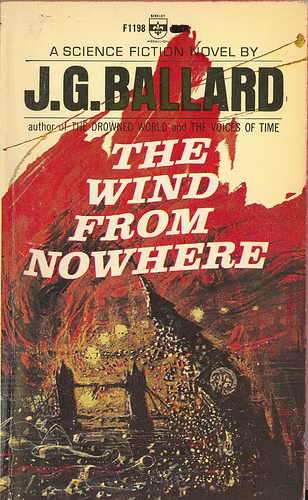 It drew me in with a classic “dark and stormy night” beginning and launched me, not only to another planet, but also to a new plane of reading.